a frontend example app built with functional principles in mind - without a framework like React & Redux. The LIVE DEMO is hosted on Github Pages. 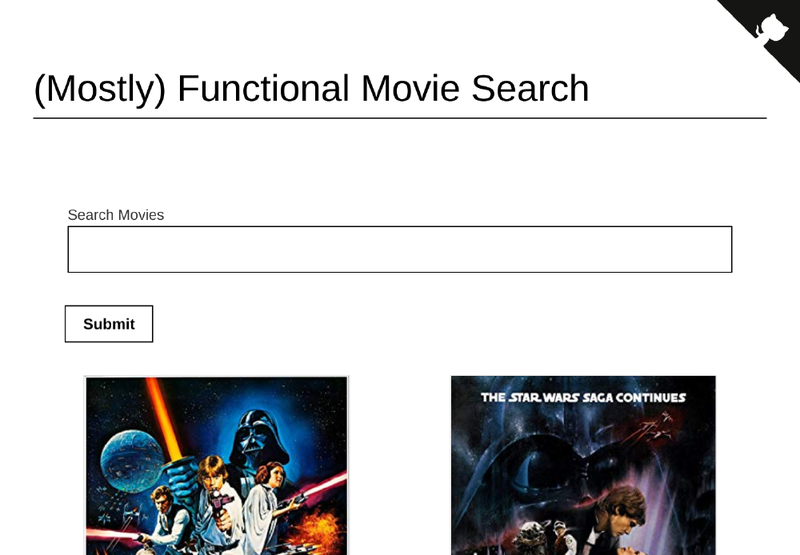 You can search for movie titles by typing into the search bar and submitting your search. The app will query the Open Movie Database. Click on an image to see more information (leads to the IMDB Website). If no image is available, you’ll see a cute kitten. Built with Hugo. Theme by Vicky Lai.